On average, it takes two to three months to obtain clearance from the NGOs Coordination Board and a similar period to obtain the actual permit from the Immigration department. The NGO Board should revise the list of its requirements to exclude those which are practically impossible for an applicant to comply with. The government needs to re-evaluate its policy on the maximum term of five years during which an expatriate can serve in the country. 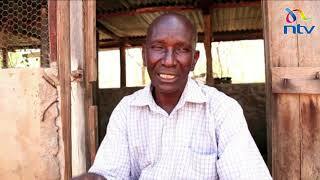 Expatriates in Kenya’s multibillion-shilling Non-Governmental Organisation (NGO) sector are a worried lot. It is becoming increasingly difficult for them to obtain or renew work permits even in the most deserving cases due to the requirement that all applications must be supported by a letter of clearance from the NGOs Coordination Board. Applying for clearance from the board has become one of the most dreaded, painful and unpredictable experiences among the expatriate community in Kenya. 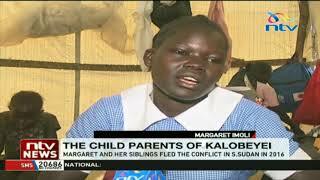 It gets more emotive when families have to wait in limbo for long periods and school-going children are unable to join schools in Kenya pending the processing of their parents’ work permits. As a result, Kenya is fast losing its attractiveness as the regional hub of many multinational charitable organisations. For starters, the process is laboriously long. On average, it takes two to three months to obtain clearance from the NGOs Coordination Board and a similar period to obtain the actual permit from the Department of Immigration Services (DIS). What makes it even more painful is that the process is repeated all over again at the DIS where the same set of documents already reviewed and approved by the Board is presented and substantially the same questions are asked. In total, it takes four to six months for an expatriate in the NGO sector to obtain a work permit compared to two to three months taken by expatriates in the commercial sector who do not require clearance from any regulator. This places expatriates in the NGO sector at an obvious disadvantage. The DIS should have representation at the NGOs Board to make it a one-stop shop so that once an application has been approved at that level the work permit is issued by Immigration as a matter of course without the applicant having to repeat the process. Then there is the challenge of inconsistent, informal, arbitrary and unwritten policies applied by the NGO Board on an ad hoc basis in the processing of applications. Applicants are routinely surprised by new requirements which are not included in the published list of documents in the NGO Board website or are impractical to obtain such as copies of fingerprints which, in many countries, are done biometrically. Applicants are also required to have original documents issued abroad such as police clearance certificates to be certified in Kenya by a local lawyer who knows nothing about the authenticity of the documents. All this ends up delaying the processing time and stressing the applicant. It also makes the process too subjective and opens doors for corruption or perception of it. There is also an undue, almost mechanical, over-emphasis on the number of expatriates that an organisation should have. The real focus should be on the number of job opportunities that the expatriate will create for Kenyans. It is not unusual to find that one expatriate creates or supports over 300 jobs for Kenyans owing to her fundraising abilities or the confidence of the donors in her management skills. All those jobs go up in smoke when such an expatriate is denied a work permit. We cannot run away from the fact that he who pays the piper calls the tune. If donors trust one of their own to manage their funds and programmes in Kenya, who are we to force them to employ Kenyans by denying their chosen representatives work permits? In all likelihood, such donors will simply relocate their operations to another deserving country near us. Kenya hosts the regional offices of many international organisations that undertake programmes in neighbouring countries but the expatriates and their families live here. Recruitment for such positions is normally done abroad by the parent organisation and such applications are generally open to everyone, including qualified Kenyans. Such positions do not, therefore, deny any Kenyan a job opportunity. Despite this fact, the NGOs Coordination Board still insists on being furnished with evidence that: the position was advertised in Kenya and there is a Kenyan understudy earmarked to take over from the expatriate when the term expires. This is a complete misconception of the nature of regional positions that happen to be based in Kenya. If we accept that international organisations will naturally feel more comfortable to entrust their funds and management of their programmes to one of their own, it makes no sense to replace such expatriate with another after the expiry of the statutory limit of five years. The government should be more concerned with the value that such an expatriate has added to the country within the five years of duty tour in Kenya in terms of job creation, training, poverty alleviation, and so on. If these key parameters are right, there should be no limit on the number of years that such a person can work in Kenya. After all, missionaries are not affected by such term limits and yet NGOs serve the same humanity. Given the long time that the process takes, it makes no sense to approve a work permit for only one year as is currently the case. This effectively means that one has only six months to work before starting the process of renewing the work permit. Work permit applications should be evaluated and rejected on merit only. Applications have been rejected or delayed on the basis of frivolous grounds such as a complaint by a disgruntled ex-employee fired by the applicant for misconduct. Finally, as a taxpayer-funded organisation, the NGOs Coordination Board should improve its client-care skills and start treating work permit applicants with respect, consideration and decorum rather than as desperate job-seekers.